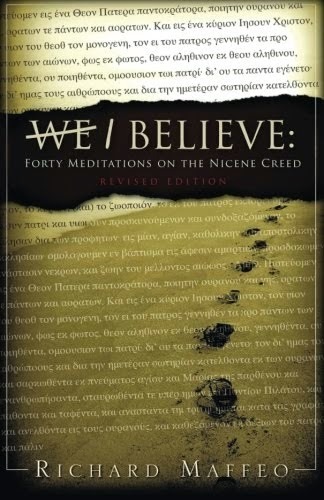 This appears in my first book, We Believe: Forty Meditations on the Nicene Creed. I modified and post it because the message is so timely for this day. This is based on an essay that appears in my book, Lessons Along the Journey. I thought it might be good to post it again here. 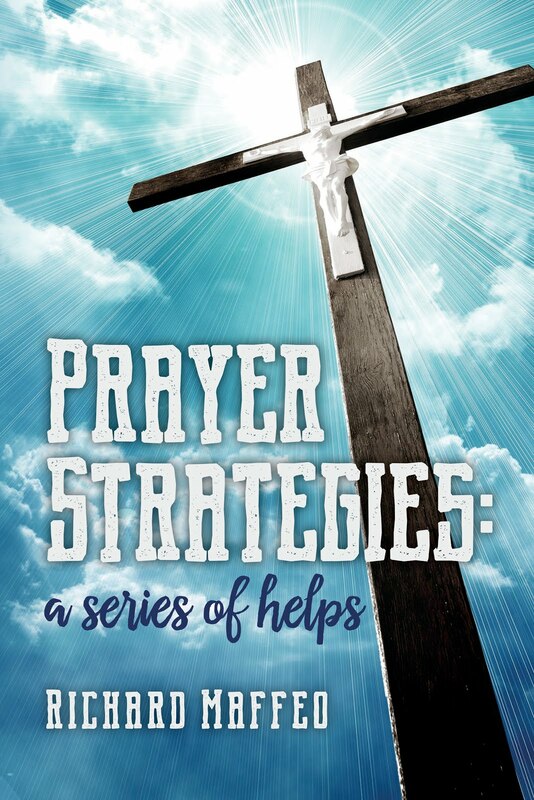 Seek the Lord while He may be found; call on him while he is near (Isaiah 55:6). Smoke swirled through the streets of Jerusalem. A woman shrieked as the soldier pulled the blood-soaked sword from her husband's belly, and then thrust it into hers. Soldiers ripped babies from their mothers’ arms and flung them against stone walls. Devastation swallowed Jerusalem as the Babylonian army ravaged the city. With grief clutching at his throat, Jeremiah wrote: “The favors of the Lord are not exhausted, His mercies are not spent; they are renewed each morning, so great is His faithfulness” (Lamentations 3:22-23). It would have been a reasonable accusation. But was the Jeremiah mad, or did he have something that I – and perhaps you – need? Horatio Spafford could answer that question. His faith in God persevered despite the tragedies that ripped into his very being. Early in 1871, he lost his only son to illness. Four months later, the Great Chicago Fire destroyed his business. Two years later, his wife, and daughters booked passage on a ship bound for England. During the voyage, the vessel collided with another ship and sank. Spafford’s daughters were among those drowned. You can listen to the song here on YouTube. Perseverance. Confidence in God. Devotion to our King despite tragedy. Mature men and women of faith understand there are no shortcuts to the kind of spiritual strength that keep us faithful despite personal tragedy. 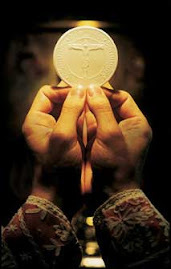 And that is why the Church teaches us such perseverance blossoms only through the grace of God as we seek Christ each day in the pages of Holy Scripture, listening for His voice in attentive prayer, worship, and -- if you are a Catholic -- regularly meeting Him at Mass and in the Sacraments. That’s the kind of relationship we all need with God. And that’s the relationship God wants with us. Isn't it only prudent that we learn to seek God now, and not when life is crumbling? I posted this about a year ago. It also appears in my third book, Learning to Lean. I post it again because I know there are a number of people new to my blog. I never cease to be amazed at how great a dearth, how great a drought of Bible knowledge there is to be heard on the radio. Let me give you a recent example. I’m driving home on the 16 going east, trying not to be too bored. I switched on my radio, found the FM band and scanned for something worth listening to. The dial stopped a time or two on some news station, then a country station, and then a purportedly Christian station where a woman was teaching about prayer. She was saying something about God’s readiness to forgive sins. She quoted 1 John 1:9 to emphasize her point. I knew the verse from memory: If we confess our sins, He is faithful and just to forgive our sins and cleanse us from all unrighteousness. I was no longer bored. Getting angrier with each thumpity-thump of the tires on the asphalt, I shouted at the radio: “Ask the Holy Spirit to help you feel forgiven? What does feeling forgiven have to do with being forgiven?” I punched the off switch before she had a chance to utter another syllable of her dangerous faith-destroying and wholly fallacious theology. Christian faith is foreign to her appeal to ‘feelings.’ We’re not forgiven because we feel forgiven. We’re forgiven because God promises complete forgiveness to every penitent, every time. Does she not realize the logical consequence of her theology? If we need to feel forgiven before we believe we are forgiven then do we need to feel redeemed by Christ’s blood before we are redeemed by His blood? Do we need to feel God loves us before God actually does love us? To live life according to our feelings and not according to faith in God’s promises set down in Scripture and taught by the Church is a veritable guaranteed recipe for the shipwreck of our faith. Not only will our walk with Christ be subject to day to day variables that affect our emotions – like the weather, our general health, or how well we slept the night before, but much worse, our confidence in God’s promises will evaporate with the first serious test to our faith, like the death of someone close to us, a divorce, a serious injury or illness. We walk by faith in a faithful God, and not by sight – or feelings (2 Corinthians 5:7). Christian faith is the foundation, the substance , the assurance (hypostasis, Greek) of things hoped for and the incontrovertible evidence of things not seen (Hebrews 11:1). And again: Our Lord tied the forgiveness of sins to faith (my emphasis) and Baptism: "Go into all the world and preach the gospel to the whole creation. He who believes and is baptized will be saved" . . . . (Catechism of the Catholic Church, paragraph 977). Note how the Church focuses on faith, not feelings. Perhaps, and I am only guessing here, perhaps the reason some people – including radio teachers of ‘theology’ – focus so much attention of feelings instead of faith is because while faith depends first and foremost on the grace of God, maturing faith is a function of frequent and humble participation in the Sacraments, and a broad familiarity with the Scriptures. “Faith,” St. Paul wrote to the church at Rome, “comes by hearing, and hearing by the word of Christ” (Romans 10:17). But developing that kind of comfort level with Scriptures takes time. And effort. And perseverance. Lazing back into the comfortable bosom of feelings doesn’t require any of that hard stuff. Jesus cautioned, “The way is wide and easy that leads to destruction. And there are many on that road. On the other hand, the way is narrow and difficult that leads to eternal life. Not so many choose that road” (my paraphrase of Matthew 7:13-14. See also verse 15). We ought to all be attentive to the road we are on. Before the anesthesiologist wheeled my gurney into the operating suite he injected medication around the nerve just above my right collarbone to numb my right arm. He said my arm would be paralyzed and insensitive to pain for the next 24 to 36 hours. He also gave me instructions to take my pain medication that evening, in case the numbing medication wore off sooner. He wanted me to stay ahead of the pain. He was right about the paralysis. When I awoke in the PACU (recovery room) I had absolutely no feeling in my arm and couldn’t move so much as my pinky. The disconnect between my arm and my brain was so complete, when I touched my fingers with my left hand, it felt as if I was touching another person. I left the PACU with a large bulky dressing from my right elbow to wrist, and my arm in a sling. My wife drove us home. The complete paralysis continued into the night. I took my pain medication as ordered and went to bed. In my semi-drugged state I dozed on and off until around 3:00. Trying to get more comfortable, I shuffled several pillows around my head and arm – and for some inexplicable reason removed my sling. A moment later when I again tried to get more comfortable, my right arm suddenly flew over the side of the bed. I’d forgotten I had no control whatsoever over my arm. In the dark and in my narcotic-induced haze, I thought my arm had flopped over the mattress by my chest, but when I reached for it with my left hand I couldn’t find it. I searched along the mattress and grew a bit frantic at the thought that I’d lost my arm. Fortunately, logic subdued my rising panic and I realized if I reached up to the place where my arm originates – my shoulder – I could follow it to where my arm should be. Moments later – and much relieved – I cradled my arm to my chest. And I replaced my sling. Not too unlike my experience that early morning in the dark, sometimes life has kicked me so hard in the gut I’ve fallen to the ground gasping for breath. And not satisfied with that, life kicked me again while I was down until I could do nothing but lie there, paralyzed. Numb. Darkness overtook me. I felt as if I’d lost direction. Hope. Joy. Peace. Like losing my arm in the darkness, panic worked its talons up toward my throat and squeezed until I couldn’t breathe. If not for a glimmer of logic that settled over me, I don’t know where I would have ended up. That glimmer reminds me of a critically important principle I learned years ago. When I lose my direction, my confidence, my security . . . when nothing any longer makes sense, that’s the time – like no other time – I need to reach out, as often as necessary, for the place where hope, direction, joy, and peace originate. Sometimes stretching myself beyond what I think is the limit of my endurance until I touch Him, I reach for Him in frequent prayer, the Sacraments, and through reading His word. And each time I touch Him – and then follow Him – I always find what I lost.